First Hand lettered piece in July 2016. One of the things that has helped me stay on track with my daily lettering practice are some of the various lettering challenges you can find on Instagram. I like the "Happy Lettering Challenge" because it’s just one word, making it is easy to complete them in just an hour. Another prompt I enjoy is the "Dutch Lettering Challenge" since the phrases are fun and upbeat. There are a ton of hand lettering challenges out there, but I suggest finding one that resonates with you to keep you motivated. But above all, you should create with deliberate practice where you focus on the small things that you are having trouble with. For example, if you are trying to get better at calligraphy you should be doing 30 minutes of drill work every day, like practicing your up and down strokes with calligraphy tools. I struggle with daily practice but can tell you that when I am practicing my drills, I can see an improvement in my drawings almost immediately. Even though I have a degree in graphic design, where I took a typography class I never learned about hand lettering. I also haven't been drawing since I was little like most artists, so I’m mostly self-taught. So as a beginner, I thought I’d share my top five favorite resources for artists new to the lettering community. I received this book from my husband, and I am so glad I did! Chalk lettering is not something that I would have naturally been attracted to since I don’t like the feel of chalk. However, I have seen the advantages in moving past this! Valerie McKeehan, the author of the book, takes you on an excellent exploration of different styles. 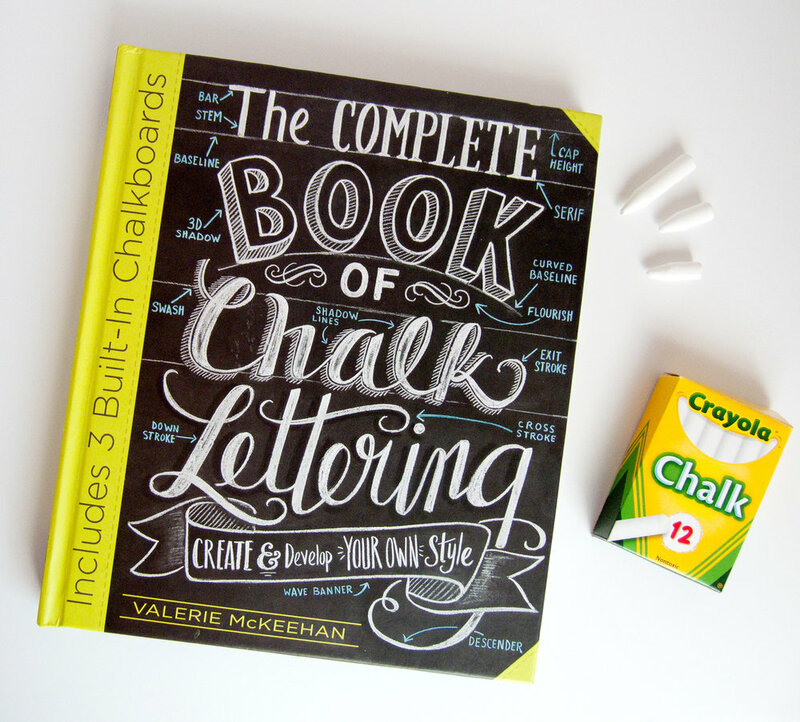 Even though this book is written for chalk lettering, you could easily practice her advice with pen and paper too. I’ve found that practicing every day requires a lot of paper and if you keep all these practice pages they can really start to pile up, just ask my husband! However, with chalk, you can simply erase your designs and keep going. The covers of the books even double as a chalk board! Another advantage is that chalk is incredibly cheap and easy to use compared to some of the other tools required for brush lettering. Plus, there can be a big learning curve with brush pens, but everyone knows how to use chalk! Becca over at The Happy Ever Crafter hosts a "Show me your drills" challenge. Now she only opens this prompt a few times a year, but if you want to learn modern calligraphy, she’s a great resource. I took her challenge in the past, and it’s incredibly helpful when you’re just getting started with calligraphy. She covers the basics, for example, upstrokes and downstrokes, the overturn stroke, and much more. What I love about this challenge is that it forces you to focus on the basics and practice, practice, practice! 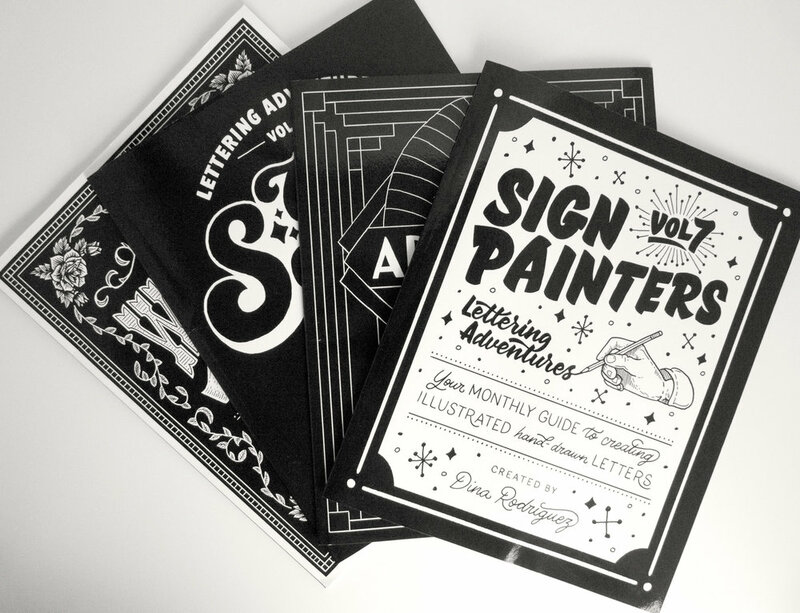 If you want to learn all different kinds of lettering styles, then this book isn’t for you. However, if you want to learn faux-calligraphy and you’re at the very beginning stage drawing, this book is a good place to start. Sarah takes you on a step by step journey, showing you how to draw out each of the letters. Her style of hand lettering is very flowy and bouncy, and that’s the same way she teaches you. What I like most about this book is that it is a workbook. So after Sarah shows you what to do, she provides you space to practice. Please note, there’s a lot of blank paper in this book; I think it’s nice as a beginner to have the quality paper right there in the book for you to practice but I can understand how this can be off putting to some. I have to give a shout out to Dawn Nicole. She has been hosting monthly hand-lettering challenges for a very long time on Instagram, which is what propelled me further on my hand lettering journal. She also has a Facebook group to go along with where you can post your work and connect with other like-minded creative’s in the community. In addition to her challenges, she offers quite a bit of free content on her blog; she has everything from practice sheets, how to’s, and free printables. She even has a free “30 Days to Better Brush Calligraphy” on her site. Dawn Nicole also explores watercolor lettering and iPad lettering on her blog. So if you really want to experiment with your type, this resource can help you broaden your mediums. If you want to learn all different lettering styles from a working professional, Dina is your lettering artist of choice. 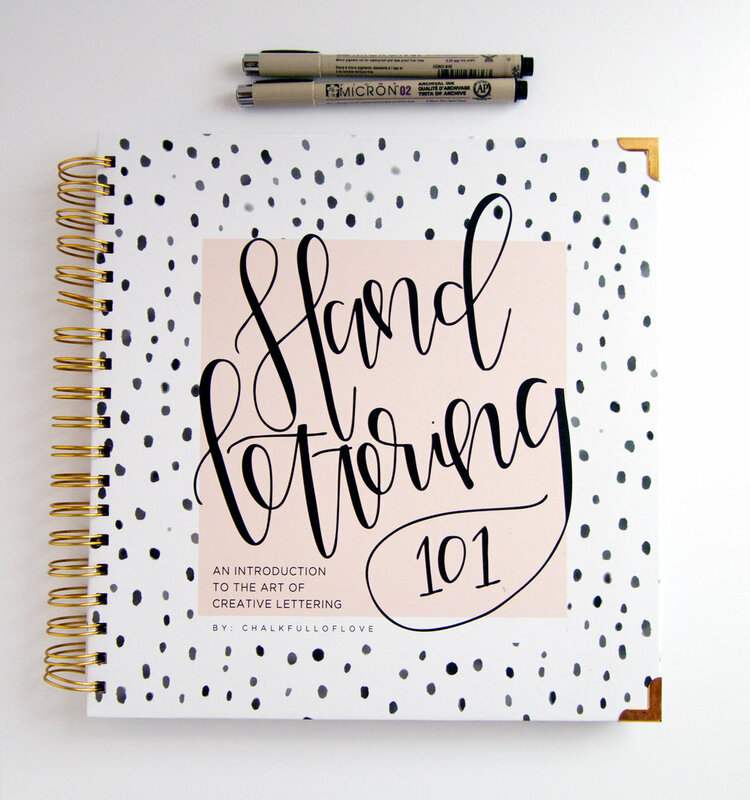 She goes in depth on each hand lettering style that she offers, plus she provides you with tips on starting your own freelance business through her blog. 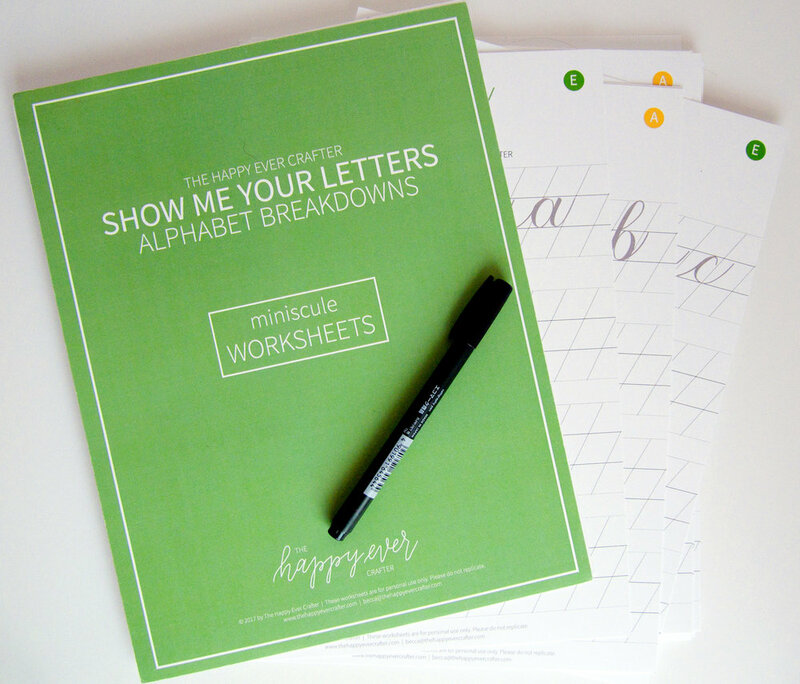 Not only does Dina provide you with a rock-solid foundation on how to create the letters of the alphabet, but she also teaches you how to practice. I think this is the most important part of any program. Without the right kind of practice, it will take you a lot longer to get better. Dina offers digital workbooks through her website, but the best way to learn from her is through Patreon where you can learn new styles of vintage hand lettering every month. By pledging to her on Patreon, you can choose your reward whether you want a digital or printed workbook with free critiques on your work. Having a pro look at your hand lettering can really help, so you don’t end up making the same mistakes over and over. Even though Dina uses Photoshop to create her hand lettering, all her work is still done by hand, just not on paper. So her program works great for both traditional and digital artists. If you are thinking about trying out hand lettering, I hope these resources will help you to get started. Hand lettering has taught me that practice is more important than talent, so anyone can do it. It’s given me a new creative outlet, and best of all it’s introduced me to a community of wonderful people.